As you plan out your year, you may be thinking about which conferences to attend for professional development and inspiration. If you’re feeling uninspired to promote wellness initiatives, a conference may rejuvenate your planning process. 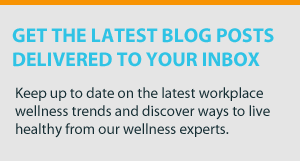 Throughout the year, the top industry experts gather at these events to share resources and network with management, wellness coordinators, and HR specialists looking to bring change back to their companies. There’s no better place to find motivation and new ideas than a conference where you can discover industry trends and learn about what your peers are doing to make their own wellness programs work. Plus, workshops dive deeper into topics you may need a little extra training in. Since it can be exhausting trying to find the right conference, we’ve rounded up the top health and wellness conferences and summits of 2019. Employees from all industries come together to share, learn, and explore trends in workplace health promotion. Along with general sessions with event keynote speakers Kristen Hadeed and Rosie Ward, the conference is broken up into several workshops aimed at improving employee wellness initiatives. Outstanding wellness programs will also be recognized throughout the conference, giving attendees at inside look at the most successful health initiatives across the U.S.
Workshop topics include:Wellness 101, New Ways to Think About Non-Participants; Overcoming “Cookie Monster”: A guide to healthier snacking in the workplace, and more. Registration is available for one day or both days. Access is limited for some sessions. The beauty of this event is you can attend from anywhere in the world. The website even breaks down which agenda matches the best time zone. For companies looking to create inspiring wellness models, this event is chock-full of experts with advice on how to start and revitalize workplace wellness programs.This virtual summit includes sessions from 20 different speakers, ranging from a sleep coach to a psychologist. Workshop topics include: The Workplace Wellness Toolkit; Sleep, Productivity and Brain Health; and Beyond Maternity Leave: How to Retain Your Top Female Talent, and more. Heading into its 11th year, this year’s theme is “All-Inclusive Wellbeing.” Attendees will hear from three keynote speakers, including Dr. Michael Roizen, Cleveland Clinic’s Chief Wellness Director, who has appeared on the Dr. Oz Show and Oprah. Interested in learning about a holistic healing approach for the workplace? This day-long conference will cover how to incorporate bringing life-long health changes into companies everywhere. How do you best adapt to benefit from the growth and evolution of health promotion? This conference shows employers and health promotion providers how to use practical strategies to help wellness programs thrive. Expect in-depth seminars, along with daily activity sessions including energy medicine yoga, fitness walks, Pilates, and more. Seminar topics include: Building Brain Health and Fitness at Work; Evaluating Workplace Health Promotion; and Activating Managers Boot Camp: Engaging Managers in Wellbeing, Why It Matters and How You Can Do It, among others. 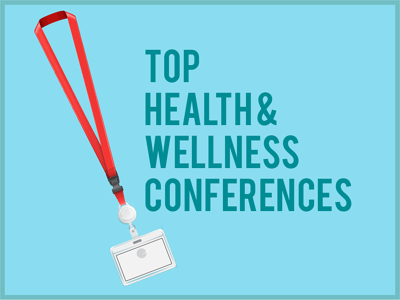 Which health and wellness conferences will you attend this year? Why do you believe it’s important to attend these events? Share in the comments below!